Jimmy Jangles presents: The Optimus Prime Experiment: U2 delivers Joshua Tree set list with new song. U2 have played for the first time ever, the classic Joshua Tree album live in concert. It's the 30th anniversary of the album's release and it has been re-issued. The venue was BC Place, in Vancouver, Canada. 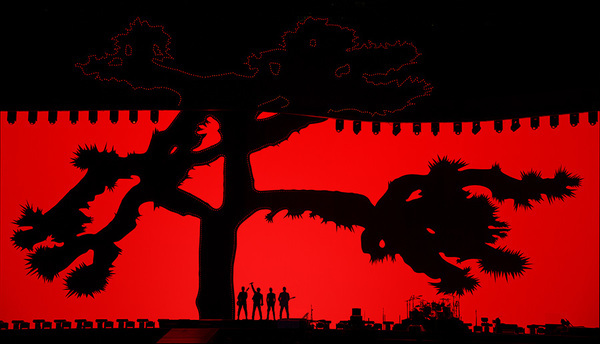 U2 opened the show with some early classics that were released prior to the Joshua Tree and then the band kicked of the album run through with Where The Streets Have No Name. U2 ended the quick with a standard set of encore songs but notably debuted a new song, The Little Things That Give You Away. Mumford and Sons opened for U2. Here's the video of the new song which Bono said was A Song of Experience, meaning it's going to feature on the forthcoming album, Songs of Experience. This new album is the follow up to Songs of Innocence. When paired the two albums will form a duet which reflects the life the band has lived.